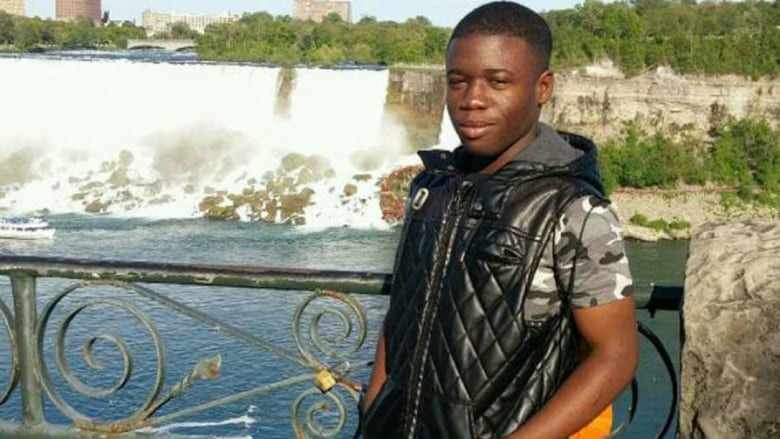 Charging an Ontario teacher with criminal negligence causing death a year after Jeremiah Perry drowned during a field trip is an "important step in ensuring that a tragedy like this never happens again," the Toronto high school student's family says. Charging a teacher with criminal negligence causing death a year after Jeremiah Perry drowned during a field trip to Ontario's Algonquin Provincial Park is an "important step in ensuring that a tragedy like this never happens again," the Toronto high school student's family says. The charge against Nicholas Mills, 54, of Caledon was announced Thursday by Ontario Provincial Police. Jeremiah's father, Joshua Anderson, released a statement through his lawyer that says the family is "relieved" by the news. It also says the family has been "living in a constant state of shock and sadness" since early July 2017. "This last year has felt like an eternity for my family and I, but we understand that it takes time to fully investigate a tragedy like this," he said. Mills had organized the field trip, which was part of the Toronto District School Board's (TDSB) REACH program, according to Const. Catherine Yarmel, spokesperson for the Killaloe detachment of the OPP. Police previously said that six adults — two teachers and four outdoor education specialists — had accompanied the students on the outdoor-education excursion, as part of the board's summer-school curriculum. "As the co-ordinator, he was responsible for the design of the Algonquin trip itinerary and he was also the team leader assigned to the Jeremiah Perry group that day," said Yarmel, noting that Mills is not in police custody. The website of the Ontario College of Teachers lists Mills as a teacher in good standing, as of 2006, and earned his certificate in 1998. Mills remains on home assignment, school board spokesperson Ryan Bird said Thursday, noting he hasn't set foot in a classroom since Jeremiah's death due to an internal probe. The results of the investigation will determine Mills' future with the board, Bird added. "It will take as long as needed to determine exactly what happened," he said. "But a good chunk of that investigation has already been conducted." Mills is scheduled to appear in a Toronto court on Sept. 11. "We extend our condolence and sympathize with the family at this difficult time," Yarmel said. Jeremiah, 15, was among 33 students from C.W. Jefferys Collegiate Institute and Westview Centennial Secondary School in suburban North York who were on a week-long canoe trip when the accident happened. The students were three days into the trip when Perry slipped under the water while swimming in Big Trout Lake, around 300 kilometres northeast of Toronto. 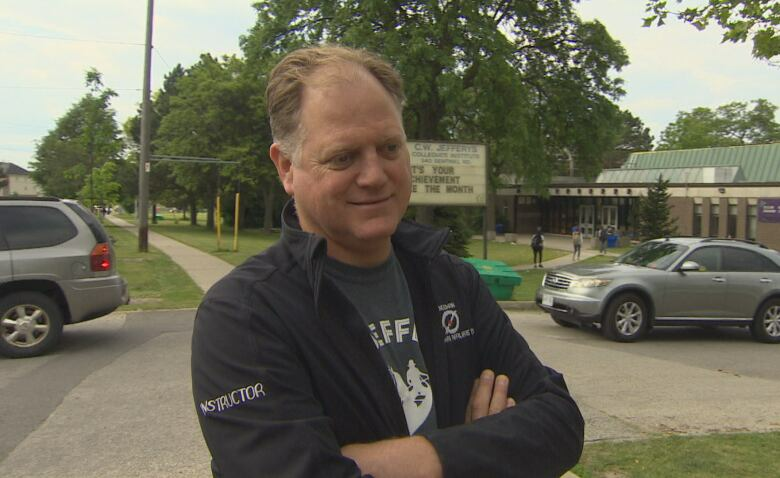 When he didn't resurface, staff called police, according to the Toronto District School Board (TDSB). Divers pulled his body from the lake a day later. Jeremiah's older brother, who also attended C.W. Jefferys, had been camping in a separate group of students on the trip. Toronto Mayor John Tory offered his condolences to Jeremiah's family while speaking to reporters Thursday. He said the city, province and school board have an "obligation to keep kids safe." "I went to the funeral for that boy, and I met his family and I stood next to his casket, and it was just one of those things that you said to yourself, 'That kind of thing shouldn't happen,'" Tory said. "As much as we may want to bring joy to kids to be able to go on trips, we have to take all the precautions of making sure that when they go that they're going to be safe." A third-party review of the TDSB's excursion procedures that was conducted between July 4 and Aug. 25, 2017, found that Jeremiah did not pass the school board's mandatory swim test prior to going on the trip, and was not wearing a life-jacket. At Jeremiah's funeral, Anderson told CBC Toronto his son didn't know how to swim. The country's largest school board also reported that about half the students on the trip had failed the swim test, but were allowed to go anyway. "We continue to be very troubled by the fact that it would appear that our safety requirements were not followed on this trip," Bird told CBC Toronto. The board is "saddened that it ever came to this," he said of Perry's death. All students are required to pass a swim test, earmarked by water safety, lap swimming and underwater endurance evaluations, before they can go on such excursions. Last September, the TDSB put in place new safety measures — including a mandatory second swim test at the trip site. As well, the student, his or her parents and school principal all need to be made aware of the test results, and life-jackets must be worn at all times. "No exceptions," the report said. "We have further strengthened the checks and balances for those swim tests," Bird said, adding the board has now resumed its internal probe of the incident. The TDSB's investigation will analyze what happened, what safety requirements were followed and any other elements that were pertinent to the trip, he explained. "We have the safety requirements in place to make sure that if you cannot swim, you do not go on a portaging trip," said Bird.